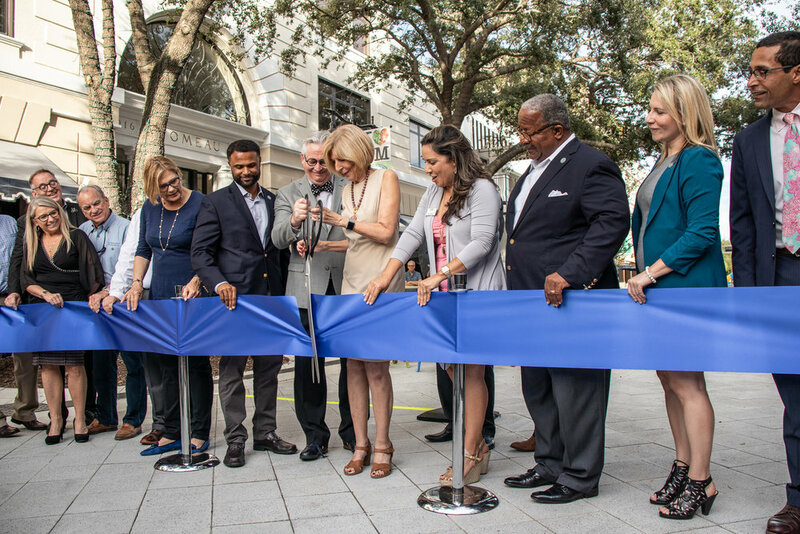 A ribbon cutting ceremony and grand opening celebration took place on Thursday, November 1, capping off 5 months of construction on the 300 Block of Clematis Street in West Palm Beach, FL. 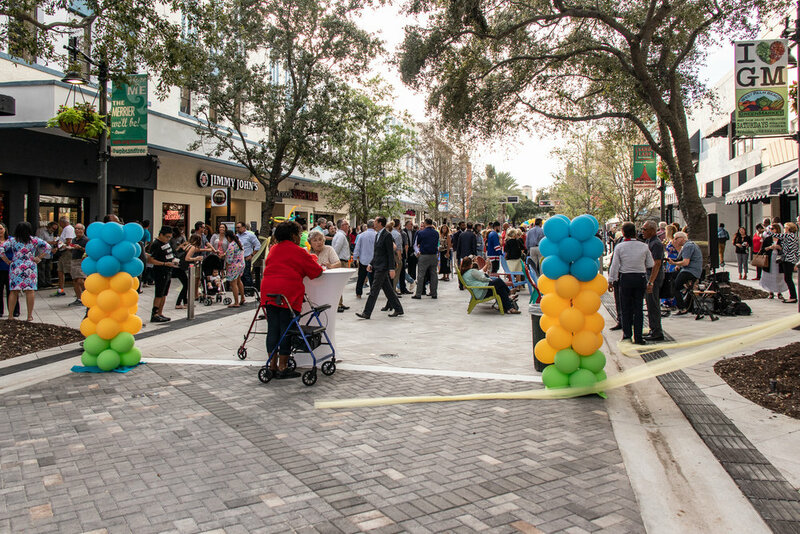 Dover, Kohl & Partners led a public design process that resulted in a vision for a street focused on people. DK&P collaborated with Kimley-Horn on the final design for a slower, safer, curbless, shared space, with more shade, more seating, and more space for dining, bike parking, and walking. 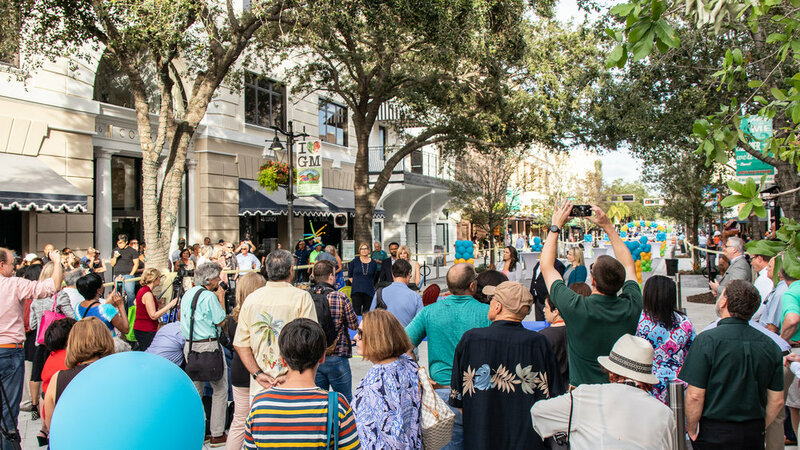 The next phase of the project will extend the new street design to the 100 and 200 blocks of Clematis Street with construction expected during the summer of 2019, followed by the 400 and 500 blocks in 2020. DK&P is looking forward to continuing this important partnership with Kimley-Horn, working with the West Palm Beach Community Redevelopment Agency (CRA), the City of West Palm Beach and the Downtown Development Authority.